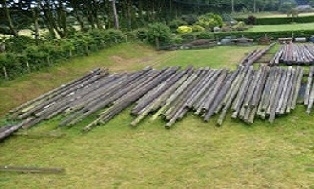 We’re fed up with fencing posts only lasting five to ten years and rotting off at the base, When you consider the time and effort that goes into fencing, we felt the product was letting down the job. It was not only disheartening it was also not cost-effective. 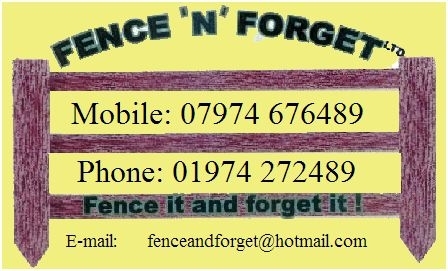 So, we have come up with fencing timber that ‘s been pressure treated with creosote. It means that for just a very little extra outlay, the posts will last for up to forty years in the ground, and much longer above ground. 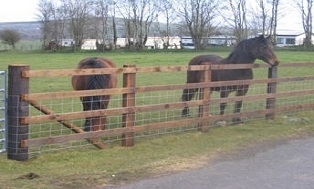 Also, people keeping horses will no longer have problems with posts and rails being chewed as they are creosoted throughout. The wood has been treated by the oldest established timber preservation company in the world and the biggest in Europe since 1848. 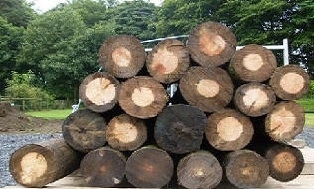 They Use vacuum / pressure processes for the impregnation of timber with creosote oil. The creosote oil is distilled from 100% coal tar and is the most useful wood preservatives known.